IDAHO FALLS, ID – Easter Idaho Interagency Fire Center responded to a few smoke reports over the weekend. These turned out to be campfires that we contained within their fire rings. The 56-acre Miles Canyon Fire, located approximately 3 miles west of Ovid and 2 miles south of Liberty, ID was contained at 9 PM on July 15, 2016 and declared controlled at 8 PM on July 16, 2016. 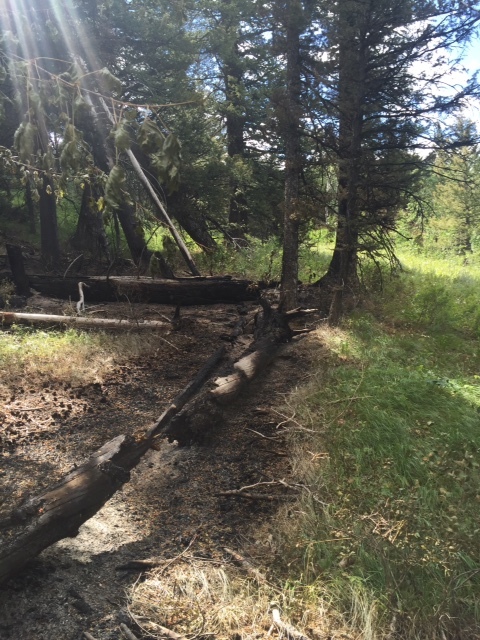 The Lanes Creek Fire (6/30) located about 10-miles north-northwest of Thayne, WY has grown to 25 acres. The fire torched more trees yesterday. Definitely growing by spotting (mostly heavy down and dead fuels). 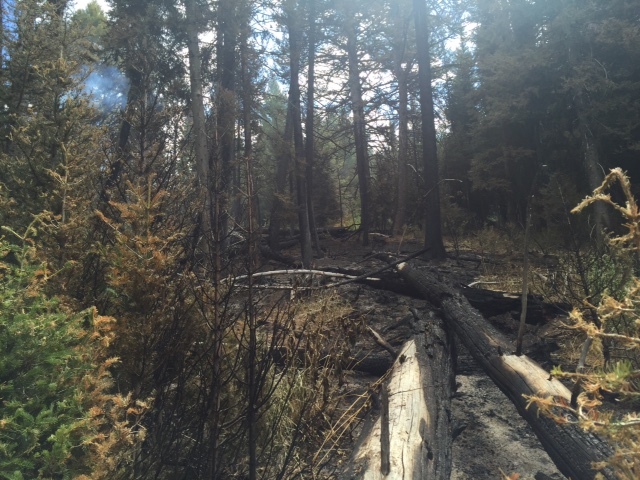 Yesterday they found a number of new spots to the Northeast and East of the main fire and the large spot fire. 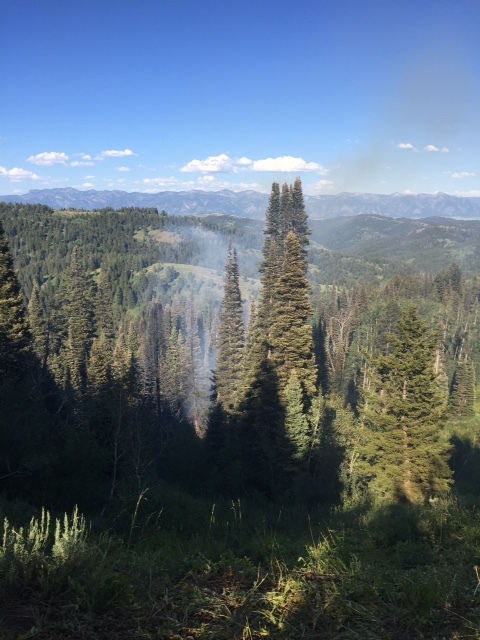 This fire is being managed for resource benefit. Resources assigned to the fire include a 20-person hand crew and one engine. Eastern Idaho Interagency Fire Center resources are also assisting with fire regional and nationally. Specifically on the Bridger-Teton National Forest in Wyoming, Sawtooth National Forest in Southern Idaho and in the Southwest in New Mexico, Arizona and Colorado.